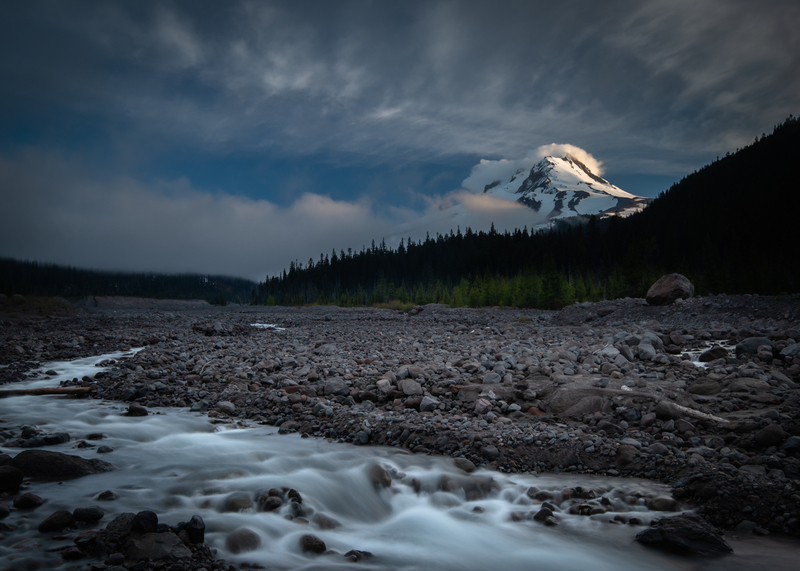 I was passing through the Mount Hood National Forest early one morning when I noticed the sunrise and atmospheric conditions were shaping up nicely for photographing White River Canyon and Mount Hood. For years I've been trying to capture a good image in this location but the photographs I took never lived up to my vision and expectation. I knew the location had potential for a quality fine art image, but I never quite found the proper composition and conditions. However, on this particular morning everything came together and I was able to capture this image. This photograph won first place in the 2018 Oregon Wild Photography Contest Waterways category. I'm quite proud of that and I hope you enjoy the photograph. Nikon D800, 16-35mm, F11, 4 sec, ISO 100.